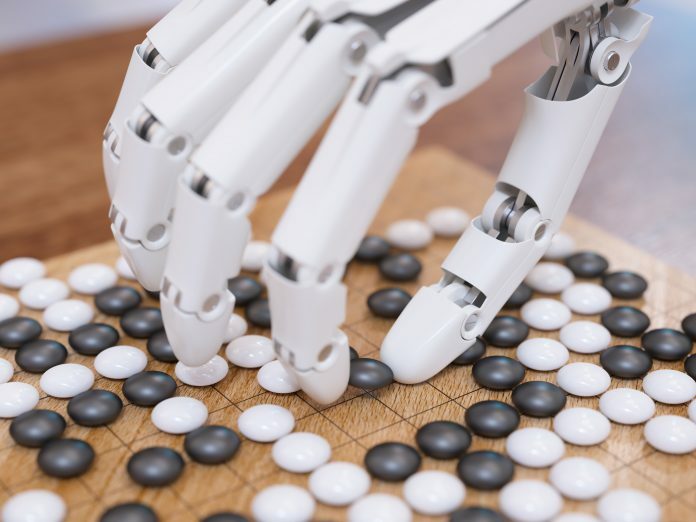 In this article we proceed part two of the listing we started in part one of this trilogy called “The ABC of the Chinese AI scene”. Chai Xiangfei, founder of Huiyihuiying, worked at three of the world’s top medical imaging institutions including the U.S.-based Stanford University Cancer Center, the Netherlands Cancer Institute, and the Radiology Department at the University of Leuven in Belgium. Wanting to help alleviate the challenges facing Chinese doctors and patients as a result of limited and imbalanced healthcare services, Chai founded Huiyihuiying in 2015 with partner and Tsinghua graduate, Guo Na. Huiyihuiying does is providing auxiliary screening assistance to reduce doctors’ miss detection rates. The company says its tools can lower missed detection rates to less than 10% from 30%, the reported current average rate for doctors at small cities and townships in China. Huiyihuiying has focused so far on chest X-rays, lung CT and mammography image analysis, but is looking to expand to other fields. It plans to eventually cover medical imaging screening, diagnosis and treatment. In terms of fundamental research, Huiyihuiying is cooperating with Stanford University and Tsinghua University to develop further applications of medical imaging AI. iCarbonX holds a world record as the fastest unicorn, achieving its US$1 billion valuation six months after it was established. Tencent’s investment that gave the company the high valuation at such a young age is a vote of confidence for company founder, Wang Jun. As the former chief executive of Chinese genome sequencing giant, Beijing Genomic Institute (BGI), Wang dreams big. iCarbonX was created to achieve a goal much bigger than Wang’s previous success at BGI: to let everyone manage their personal health from every aspect that pertains to health. That includes not only genetics, but also immune systems, proteins, metabolism, microbes, exercise, diet, and environment. For that purpose, the company released a mobile app called Meum in January 2017, on which users can track and manage all of the above health metrics. For instance, Meum will recommend an ideal diet and exercise scheme based on one’s health metrics measured and obtained by physical tests and health data mining. The vision, because of its all-inclusiveness and complexity, will face many challenges. iCarbonX has been investing in many health verticals to bolster its capacity and expertise. It has purchased stakes in companies providing patient data mining, medical imaging, big data, and even marketing. iCarbonX is also partnering with Chinese agricultural conglomerate COFCO to conduct blood sugar research and applications. In April 2018, it released a customized probiotics dietary supplement food, designed to build a stable and healthy intestinal environment. iCarbonX will continue to expand its business boundaries, as it inches toward its goal of letting everyone use data mining to control their health. IceKredit is named after a book published by Chinese statesman and military general Zeng Guofan in the late Qing dynasty. The book teaches how to read people’s qualities by observing their bones, appearance, movements and temperament. For this AI start-up in the 21st century, that concept perfectly reflects its mission: to use technology to provide accurate credit ratings for better decision-making. The company was founded in 2015 by Gu Lingyun, a PhD graduate in computer science from Carnegie Mellon University with rich work experience at several fintech firms including ZestFinance. It uses machine learning and big data to provide credit ratings on small and medium enterprises and individuals. These credit rating insights and related data are used by financial services firms, many of which are online lenders. Beside helping to decide the creditworthiness of an SME or an individual, IceKredit’s solutions can also help financial services firms with precision marketing, anti-fraud services, loan collections and post-loan monitoring. 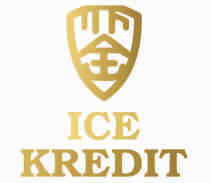 IceKredit currently has hundreds of paying clients, and most are small-scale banks and online lenders. It is expanding to new areas including public opinion monitoring, which is important to SME creditworthiness. Another area it is improving is to better the quality of its data, as substandard reporting is prevalent among SMEs in China. IceKredit is using on-site visits and cross-verification to ensure that its data are trustworthy. For some time, Infervision’s founder Chen Kuan appeared destined to end up on Wall Street and lead a high-flying lifestyle. He was a PhD student with a double major in economics and finance at the University of Chicago. By chance, he learned of deep learning algorithms and was fascinated by its potential. It led him to quit his PhD studies and move back to China to start a company with a goal to assist doctors read complicated medical images more efficiently. To develop an AI-assisted screening tool for doctors, Chen and his team camped out of a dilapidated apartment near a hospital in Sichuan province for a year. That helped the company release an assisted screening product to help doctors read lung and heart medical images to detect diseases such as cancer early. Then, it released an intelligence X-ray and intelligent CT scan assisted screening tool, which can be applied in breast, abdominal, fracture and cardiac diseases. As of February 2018, Infervision’s solutions have been deployed in 150 hospitals. These tools are conducting nearly 13,000 assisted screening daily on lung cancer, for example. Next, Infervision wants to expand overseas in the U.S., Japan and Europe. Inside China, it hopes to bring its technology to more hospitals in small cities and townships. That will help early detection of disease and improve patients’ chances of survival. The company is also engaged in academic research and has established a partnership with Chinese Radiology to deepen research and application of AI in medical imaging. Knowbox’s founder Liu Ye is unusually driven for a reason. In 2007, he was suspected of having multiple myeloma during a regular physical examination. Faced with potentially a five-year survival rate of 49%, Liu thought hard about life. It turned out to be a misdiagnosis. Nevertheless, Liu made some drastic decisions. He left the enterprise software company Inmo he founded years ago to start Knowbox, a company he feels could place him on top of the coming AI technology revolution. With two co-founders from Baidu and Intel China, Liu’s Knowbox targets the homework market in China’s public school systems. That’s very different from most other online education companies that cater to private tutoring or after-school classes. Utilizing AI technologies including knowledge maps and personal recommendations, Knowbox’s tools assist teachers with automatic scoring and question recommendations to improve efficiency. Students get personalized questions based on their homework performance and progress. Knowbox constantly mines the data created by its 27 million students and 2 million teachers to refine its AI content systems. The company has built a team with 300 staff to focus on content production. About one-third of the team are former teachers, who design homework-based content that closely follow China’s public school curriculum. 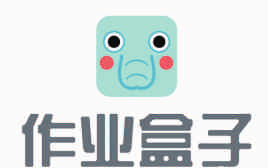 Knowbox is used in more than 70,000 public schools in 31 provinces in China. The company started commercializing its products at the end of 2016. It provides free services for its basic homework function but charges a fee for value-added services. Before founding healthcare big data firm LinkDoc, founder Zhang Tianze built a digital media company helping companies including hospitals to manage their public brand image. He has an acute sense for the importance of data, and saw how aggregating, structuring and mining China’s massive healthcare data could provide great value. He also saw how great a waste it can be not taking advantage of that data. For example, Zhang’s father, a lung cancer surgeon, and the hospital he works at, keep thousands of cancer patients’ data over the past two decades on a a simple digital spreadsheet. Aggregating millions of these “sleeping” data, Zhang believe, will supply critical insights that can save lives. Thus is LinkDoc’s mission. The company has helped hundreds of hospitals in China to digitize and standardize millions of medical records. Its focus are serious illnesses like cancer, which Zhang believes big data and AI can really make a difference. After letting its deep learning models “study” the data, LinkDoc provides a lung cancer diagnosis tool that assists doctors on their diagnosis. It can come in the form of suggested treatment plans and analysis of similar cases. LinkDoc also runs a patient follow-up center that monitors and digitizes over 400,000 cancer patients’ illnesses and recoveries. This feeds back into its big data platform and keeps improving the intelligence level of its products. 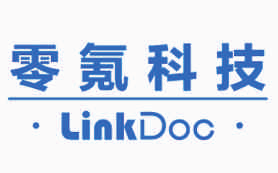 After securing investment from China’s sovereign wealth fund in July 2018, LinkDoc plans to continue improve its existing technology. In terms of new businesses, it will explore expansion to DTP (direct-to-patient) smart pharma operations and health insurance payment services. Malong Technologies is named after its two founders: a Tsinghua PhD with work experience at Microsoft and Tencent, Huang Dinglong, and Matt Scott, a colleague of Huang at Microsoft. The Sino-U.S. partnership is rare among Chinese AI companies, and echoes Malong’s unique business proposition: to enable smart retail and commerce via computer vision technology. Initially, like some of its peers, Malong developed a mobile app in 2015 when mobile apps were the rage. The app helped young people find their desired style of clothing via image searches. After seeing the commercial limitations of the app, the founders decided to turn to the B2B sector. Malong then spent two years to create a cloud-based commodity recognition platform targeting retail companies. Malong’s ProductAI platform allows fashion designers use image searches to find desired fabric much faster. It can also generate tags and descriptions for various images including furniture and travel destinations, in addition to recognizing infringing images. In e-commerce, small and medium-sized retailers can add capabilities via simply plugging into ProductAI’s API to allow image searches, style recommendations and price comparisons. More recently, Malong developed computer vision-based solutions to enable cashier-less retail stores. It also produced a commodity recognition product integrating both software and hardware to assist cashier-less retail operators’ rapid expansion. Its ProductAI platform now has English and Japanese versions, and the company plans to further its international expansion. Malong is also exploring opportunities in video commercial analysis and automobile parts. Founded by three classmates at a top computer science class at Tsinghua University in 2011, Megvii is an example of the kind of spark that can be created when talented young researchers meet a disruptive technological revolution at the right time. Yin Qi, one of the three and now CEO of Megvii, helped develop a facial recognition system while interning and working at Microsoft Research Asia around 2011. The trio saw the business potential of face recognition technology when Facebook acquired Israeli facial recognition start-up face.com in 2012. It prompted Yin to cut short his PhD studies at Columbia University to return to China and focus on developing Megvii, also known as Face++. As an early research team and start-up focused on commercializing facial recognition technology, Megvii now operates one of the largest open platforms providing facial recognition technology, Face++, and identity verification system, FaceID. Its solutions, provided as a Web API, mobile SDK and other tailored formats, are used in financial services, public security, mobile phones and other sectors. Top Chinese firms including Alibaba, Huawei, Lenovo, Foxconn, Xiaomi and CITIC Bank used Megvii’s technology, and some became its investors. Megvii’s future ambitious are much bigger. For the short-term, it plans to continue securing the best talent, further expand its data sets, and build more supercomputing centers. It recently acquired Ares robot to enter the robotics sector. It will continue focusing on serving financial services, smart phones and government-facing city brains projects. In the more distant future, the company wants to power computers to “see” everything just like human eyes, and eventually digitalize the physical environment. Mininglamp is founder Wu Minghui’s second start-up. Having established a third-party big data marketing firm Miaozhen Systems while studying computer science at Peking University, Wu founded Mininglamp to explore a much bigger market using similar technologies of his first start-up: big data and AI. But instead of analyzing ads, Mininglamp wants to tap into perhaps the most lucrative and critical sector in China: police and public security. Different from other AI firms focused on recognizing objects and people in surveillance videos, Mininglamp aims to help improve efficiency for police in the investigation process. For example, based on its knowledge map, Minginglamp helps police identify and analyze cases faster, providing related persons and suspect analyses. The company has served customers such as provincial and municipal public security bureaus. It claims its technology enables police departments to achieve a 5% to 20% increase in successful detection rate for all cases. The company’s knowledge map and big data based platforms are also applied in two other sectors: financial services and industrial manufacturing. In financial services, Mininglamp can quickly identify suspected insider transactions. In the high-speed rail sector, it can analyze vehicle operation performance based on data from sensors and other equipment. 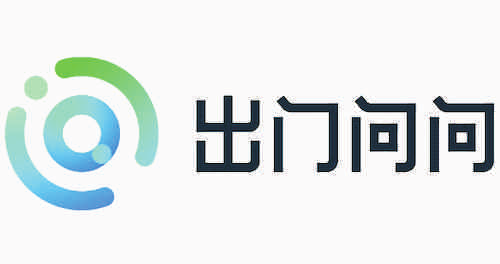 Minginglamp also released AI brain products tailored to these three industries, and launched an enterprise-facing Siri-like interaction tool, Xiaoming. Mobvoi, which stands for “mobile” and “voice”, was among the earliest start-ups in China to focus on voice recognition technology. Founder Li Zhifei is a Johns Hopkins University graduate and a former Google researcher focused on machine translation and natural language processing. Li started the company in 2012 at the beginning of the mobile Internet age with the objective to let people interact with mobile devices using voice command, instead of touch screens. The idea of initially developing a mobile app quickly turned into producing smart devices from smart watches to smart speakers, as Mobvoi seeks ways to build a more sustainable and tangible business centered around its voice recognition technology. From 2015 when its first smart device, a smart watch called Ticwatch, was released, Mobvoi’s product portfolio now covers smart car rear-view mirrors, smart speakers, children’s smart speakers, and smart ear buds. In May 2018, the company released an AI chip supporting voice recognition with partner Hangzhou Guoxin Technology. In the future, Mobvoi aims to continue expanding the user base of its smart devices – from those used at home and in the car – to a critical mass. The company is also exploring applications of its voice recognition technologies for enterprises in the financial services, insurance and property sectors. Its smart car rear-view mirror, now operated by a joint venture between Mobvoi and Volkswagen Group China, hopes to add voice interaction capabilities to many more cars in China. The company will also deepen its research and development in tailored AI chip products targeting traditional electronics makers wanting to add voice command to their products. 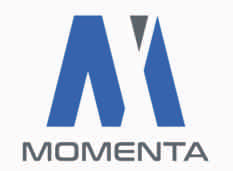 Momenta was founded by Cao Xudong, a Tsinghua graduate who was previously Chinese computer vision giant SenseTime’s deputy director of R&D. Momenta’s own R&D director is Ren Shaoqin, a PhD of a joint program between the University of Science and Technology of China and Microsoft Research Asia. Ren’s research paper on image recognition algorithm ResNet won the Best Paper Award at the IEEE Conference on Computer Vision and Pattern Recognition in 2016. With a star team including the pair above, Momenta quickly obtained investor support to pursue its vision. That mission is to build the brain for autonomous driving, providing tech solutions to automobile OEM’s and tier-1 suppliers. Its core technologies include deep-learning-based environment awareness, high-precision maps, and driving decisions. Momenta provides customers with L3 to L4 autopilot solutions, as well as big data services, including real-time lane and road edge detection, driving area detection, 3D vehicle detection and human feature detection via various types of SDK’s. After building up its tech infrastructure, Momenta is next exploring commercial use. The company plans to partner with the Suzhou city government to test self-driving cars in a designated special area before the end of 2018. The pair will launch an industry fund to invest in upstream and downstream start-ups. Momenta hopes its autonomous driving technology can lower traffic accident rate by 20% to 40% in the next five and ten years. One of two female founders in the China AI Top 50, Ji Xiaochen is different from others in more than one way. She is also one of a few founders who did not study computer science or related studies. A law graduate of Northwest University of Political Science and Law in Xi’an, Ji previously worked at a Beijing film and television production company. She soon saw the potential of smarter film, TV and video ads using technology, and set up Moviebook in 2009. In 2015, Moviebook launched two products to help film, TV and video creators better monetize their content. It also assists online video platforms and advertisers improve revenue and ad deployment effectiveness. 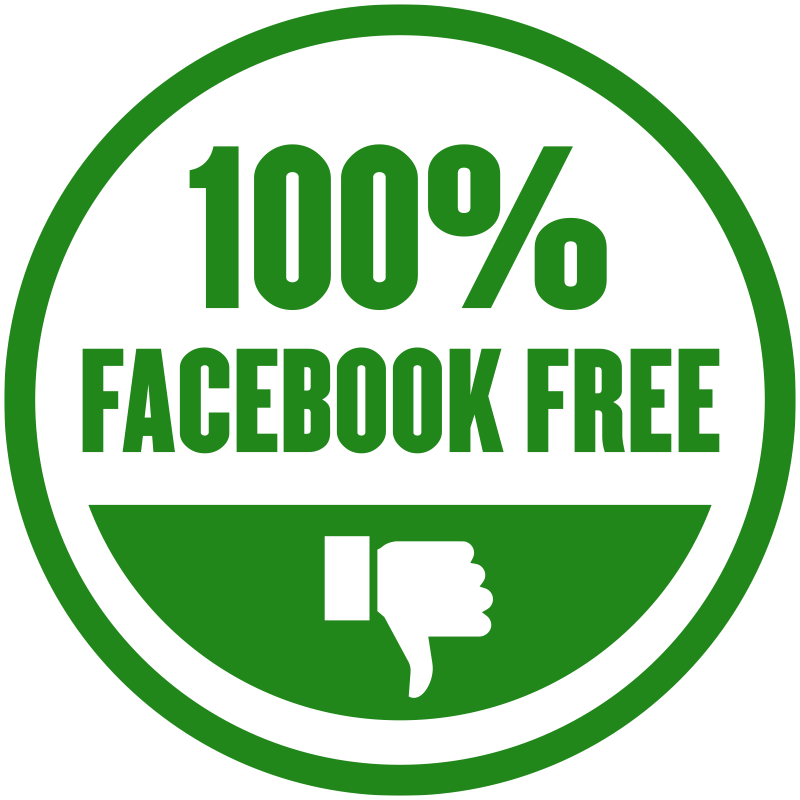 Moviebook’s technology can automatically recognize suitable brand planting sites in videos and suggest the best potential advertisers. In the process of implementing native video ads, Moviebook’s technology helps lower costs too. For example, an automobile brand can embed its logo in video content by simply using Moviebook’s software, instead of actually sending a car to the film production site. Moviebook was listed on China’s New Third Board in 2016, but was delisted in March, 2018. The company also hired a Chinese investment bank in early 2018 to help it plan a listing on the mainboard in the near future. According to its most recent disclosed financials as a listed firm, Moviebook recorded revenues of RMB137 million (US$20 million) and gross profit of RMB40 million (US$5.9 million) during the first half of 2016. In August 2018, Moviebook raised RMB1.36 billion (US$200 million) from SenseTime, Softbank China and other investors. Moviebook and SenseTime said they would deepen partnerships in augmented reality and video analysis based on AI technology. Noitom is the word “motion” spelled backwards, indicating the company’s aspiration to disrupt the motion capture industry. Founded by Liu Haoyang, a PhD graduate in civil engineering and a master of computer science from Johns Hopkins University, Noitom’s mission is to make cost effective motion capture technology available to many more industries outside of movies. Noitom has developed a Electro Mechanical Systems (MEMS)-based inertial sensor motion capture technology, based on proprietary research on sensors, modal recognition, motion science, and biomechanics. One product is Trance, a hybrid production system providing virtual shooting, real-time motion capture, real-time image synthesis and other related functions on a unified operating interface. Other products include a motion capture system for personal developers, multi-person commercial virtual reality solutions, and VR gloves. Noitom’s solutions have been used for many films including Game of Thrones. Benefiting from affordable Chinese manufacturers, the company is able to lower the costs to expand utilization in many other sectors including animation, game production, sports training, virtual reality, medical diagnosis and robotics. In the future, Noitom will continue to increase commercialization via product upgrades. It is planning to release a whole-body wireless motion capture system that will make movie shooting easier. It will continue expanding multi- person commercial VR solutions as well. Orbbec’s founder Huang Yuanhao has been researching ways to help machines see the world better for years. After graduating from Peking University with a major in mechanics, he has focused on photometric biomedical sensors, underwater imaging and imaging through turbid media research at Hong Kong Polytechnic University and MIT. In 2013, he felt the time finally arrived for machines to see the world as it is: three dimensional. Orbbec was created to perfect and commercialize 3D computer vision technology. The company currently has a number of 3D camera products designed for different purposes. Some allow more creativity and greater processing power, some are more compatible with existing apps, and some offer compactness to fit small devices. Since 2015, the company has mass produced 3D cameras, which have lower costs and energy consumption because they use the same structured light scheme as the iPhoneX. The company’s 3D cameras are used by cashier-free retail stores, robots and smart home manufacturers. Over 2,000 companies are utilizing Orbbec’s products to develop numerous products and applications. As 3D imaging becomes more mainstream, Orbbec is planning to expand its market share in China and elsewhere. Some Chinese smartphone makers are potentially using Orbbec’s 3D cameras on its future new models. This may just be the beginning. He Guotao grew up in Macau, but it was clear to him that the mainland Chinese technology market was where the real opportunities flourished. 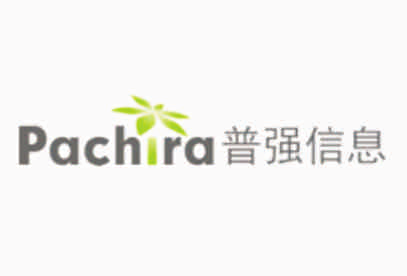 A Peking University graduate in computer science with years of development experience in voice recognition, He founded Pachira in 2009 in Silicon Valley. The idea was to figure out a viable commercial path for the voice technology that he and his team have spent years mastering. Pachira found customer service the perfect venue. Based on its voice recognition technology, the company developed a cloud big data platform that turns massive amounts of voice calls to text. The text is then automatically categorized, tagged and structured to provide valuable insights and references to call center staff. This solution helps significantly improve call center efficiency and service quality. In 2011, the company entered the vehicle voice market after receiving a strategic investment from Chinese mapping firm NavInfo. It developed software, hardware and chips for the purpose of allowing users to issue voice commands with in-car devices. On the other hand, Pachira is upgrading its customer service big data platform by adding text-to-speech functions. This will enable enterprises to allow more customer service work to be automated. Andrew Ng called him “one of the world’s best hackers”. It’s really not an exaggeration. Lou Tiancheng has won numerous national computer and math competitions ever since he was 15. Then, he won TopCoder and Google coding challenge championships in China and globally while still an undergraduate in Tsinghua University. The computer science PhD from Tsinghua, deemed by the Chinese programmer community as “The Godfather” (despite being only 32), later worked at Google and Baidu. It was while at Baidu working on the Chinese search engine’s autonomous driving project, Lou got to know the project’s chief architect, James Peng. The two joined hands to launch Pony.ai at the end of 2016. With their top-notch background, investment appeared to come easily from Sequoia and IDG. The founders hired many more staff just like themselves: champions of the International Informatics Olympiad and TopCoder challenges. Half of its staff are PhD degree holders from world-renowned universities. Pony.ai’s ambitions are nothing short of grand. The young start-up is eyeing all aspects of the autonomous driving space, from operating systems, tech solutions, hardware, and even making their own cars. It has obtained self-driving road test licenses in California and in Beijing. In Guangzhou, it launched a self-driving fleet for public test driving in a controlled environment. In the next two years, Pony.ai will test its vehicles in a 30 square kilometer area in Guangzhou that will be built especially for self-driving vehicles. Lou believes that Pony.ai has a great chance of making self-driving a reality soon in China. Part of that confidence comes from how governments in China are embracing innovation and offering support, like those Guangzhou city has offered to his company. Is he overly optimistic? That will have to be answered in time. Each year during the Mid Autumn Festival, factories in China hire tens of thousands of temporary workers to make and package perhaps up to a billion moon cakes. It has always been a hectic time, which is made more challenging as the number of low-end laborers decreases in China. 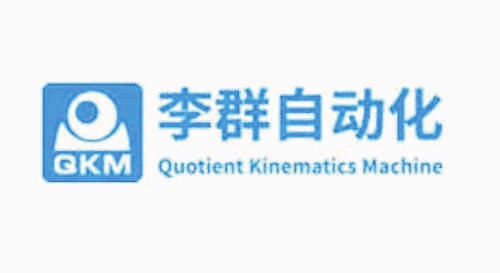 Quotient Kinematics Machine is founded to help alleviate the kind of labor shortage by automating repetitive factory work with industrial robots. Its robotic arms have already helped Hong Kong’s Maxim to make moon cakes during the traditional Chinese holiday season. What sets Quotient apart is also that it was founded by a female entrepreneur, one of two women founders of the China AI Top 50. Shi Jinbo, a PhD graduate of the Hong Kong University of Science and Technology, was a student of Prof. Li Zexiang. Prof. Li is known for having incubated and guided his student Wang Tao to found DJI, now the world’s largest drone company. The professor also helped Shi during her early days, introducing her to win one of the company’s first contracts, helping an American phone maker deal with automatic inspections. Quotient wanted to expand beyond serving as a technology supplier helping companies install and manage their automated production lines. So it released its own robotic arms brand with products for sorting packages and packaging food, medicine, electronics and chemicals. The company’s dream, as Shi said, is to help China catch up on the industrial robotics sector, which is highly reliant on imported core parts. This concludes our second 17 AI companies in the series “The ABC of the Chinese AI scene”. Stay tuned for the final and third part.